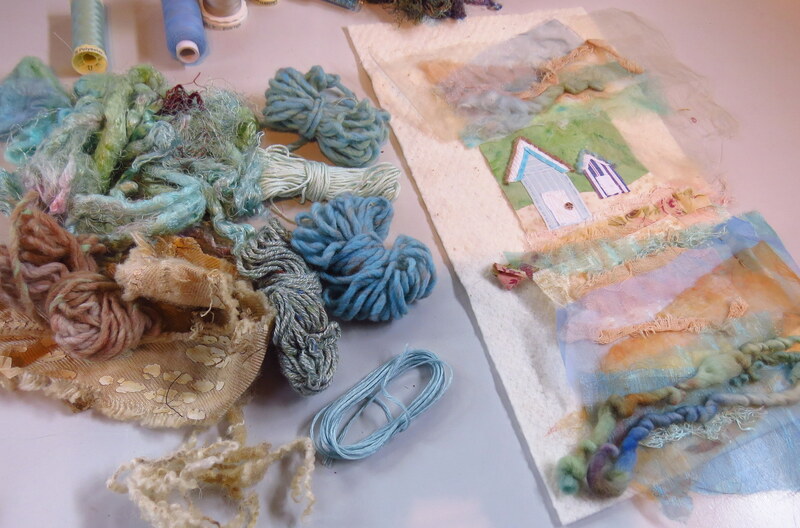 I’ve been working on a little piece for the Halifax Embroiders Guild. 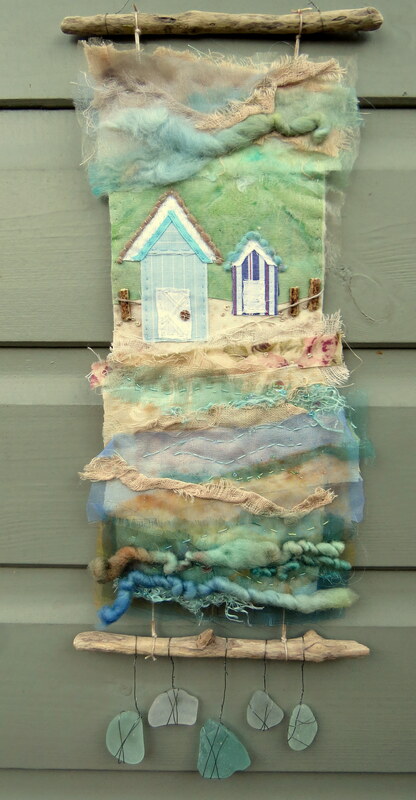 We all had a small beach hut kit to hand sew for a collective display in September. Many are going to be cards, but I just needed to morph my little square into something else. 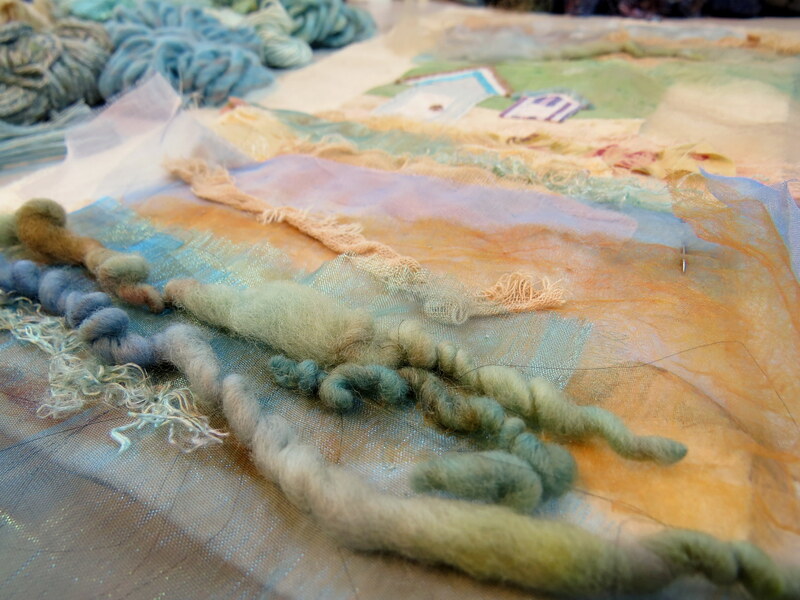 Having selected the colours and yarns, I just loved looking at the colour palette of goodies on my table. And here is the finished hanging, complete with some found driftwood and sea glass.